An Altar will be set up at green area. It will be decorated with ivory coloured chiffon and fresh flowers. A wedding table will be set beneath the Altar and will be decorated with ivory coloured chiffon and fresh flowers. Ring pillow in decoration colour will be prepared. 2 fresh flower decorations on columns will be placed on left and right of altar. The white laquered chairs will be adorned with bow ties made of ivory coloured chiffon. A white carpet will be rolled out and rose leafs will be layout on it. 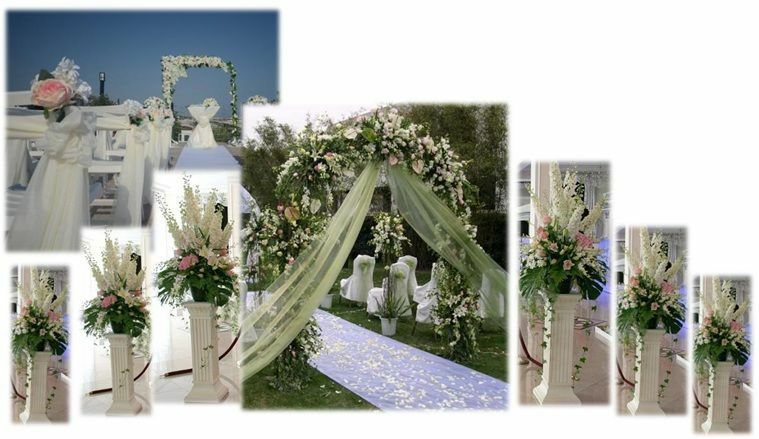 6 fresh flower decorations on columns will be set at right and left of carpet.An atlar will set at wedding venue and decorated with tulles and fresh flowers. Aerial shooting by drone on wedding ceremony. Special car which has been made special for regnum will be use as bridal car and will be decorated with tulles and fresh flowers. Bridal flower arch will set at bridal walkway.At bridal walkway fresh seasonal flower decorated 8 metal stand will set at each side of flower arch. Candles and lanterns will set both side of bridal walkway. The initials of Bride’s and Groom’s names will written on a special board and will be placed at the entrance. The Bridal table will be prepared special. Decorated with ivory coloured shiffons and satin fabrics.Ivory coloured lace runners will be laid on it. Big oval bouquet of fresh flowers will be placed on the middle of table. Table will be decorated with mirror and candleholders with Swarovski stoned and candlesticks will set on table. Fresh flowers will be used to decoration on mirrors. Glass mirror under plates will be set up with Swarovski stones. Napkins bracelet will be set as bow tie. Tiffany chairs will decorated by satin ribbon bows and flower will separated in bows too. The Tables of the guests will be decorated with ivory coloured chiffon and satin. Ivory lace runners will be lay on it. Golden color glass stand vazes will set in middle of table and decorated with pink and red flowers.Supla plates will set under dishes.Red glasses smiliar as decoration colors will set at tables. Napkins bracelet will be made of bows by satin ribbon in the decoration colour. Beautiful candles are placed on the table. Tiffany chairs will decorated by satin ribbon bows and flower will separated in bows too. 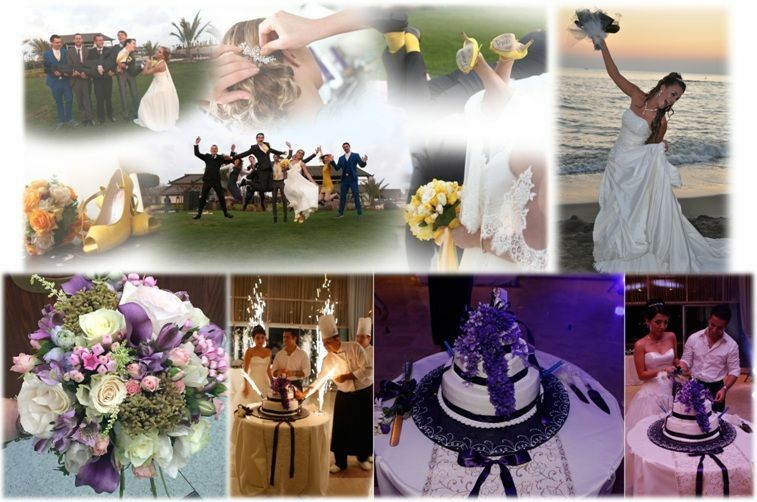 Exclusive professional photographer takes 350 to 700 pictures in JPEG format during the bride’s preparation, marriage ceremony and wedding dinner reception.